All Season Resort Realty agents are specialists in Teton Valley Resort Real Estate. Our in-depth knowledge of each resort community gives you peace of mind when listing and selling your property. We pride ourselves in being able to provide accurate, up-to-date information in a timely manner, which equates to a more effective sales approach. 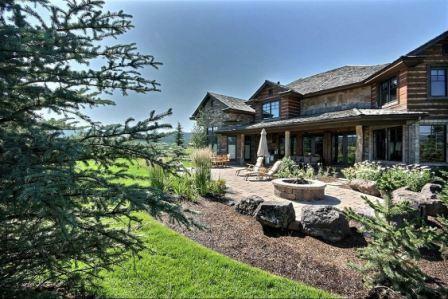 On-site Sales Office located at the main gate of Teton Springs gives us the ability to capture the highest number of interested and qualified buyers. Our flexible team approach allows for you to have contact with a knowledgeable and experienced agent six days a week to assist and answer any questions that arise. Our highly efficient and professional office staff provides outstanding customer service and are also well-versed in all aspects of the community. Our flexible referral policies with other brokerages allow agents peace-of-mind while their clients receive the best possible services from our agents. We work hard to protect and enhance the relationship and trust of each client. We always put the client first. Our aggressive and effective marketing program includes interceptive marketing throughout the Jackson area, intensive website exposure and print advertisement which targets home buyers seeking a relaxing, stress free, outdoor lifestyle in the Rocky Mountain west. Our agents offer a superior knowledge of our market and our competition.